The heart-wrenching story of a young Bosnian woman who must fight to survive a war, and for her family, love and destiny. After leaving behind violence, the loss of loved ones, and bitter disillusionment, Zehera wants to start a new life, but her courage and ability to overcome adversity won’t be enough to defeat the mafias, racial hatred and desire for vengeance which she encounters. Only through her strong bond with her sister, the unconditional friendship of a Spanish woman who saves her life and a new love will she be able to rise above the cruel fate that will confront her with her past. 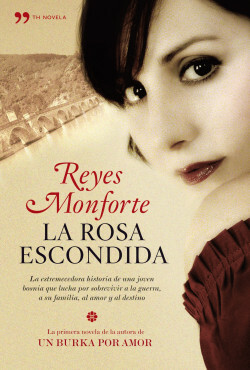 A novel based on a true story, by the author of Un burka por amor.